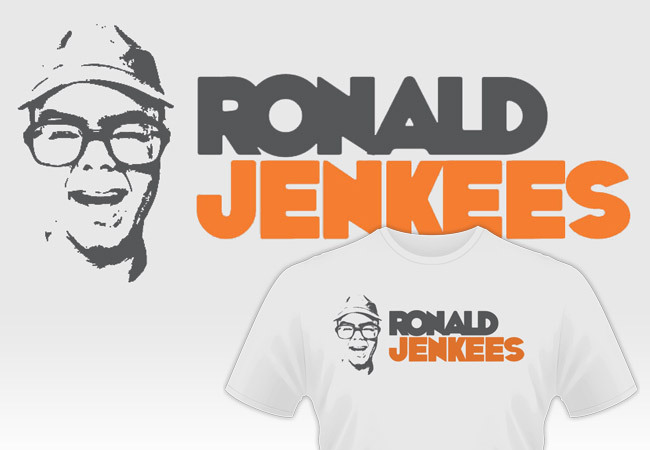 This Ronald Jenkees shirt design is one of my biggest hits! RJ is a friend of my old band from Kentucky. If you’ve never heard of him, he is an electronic music prodigy, as well as a YouTube phenom. RJ is instantly recognizable, squinting in his Coke bottle glasses while wearing an assortment of fedoras and other hats. In his live performance videos, he always encourages viewers to have fun with their music, no matter what their skill level may be. 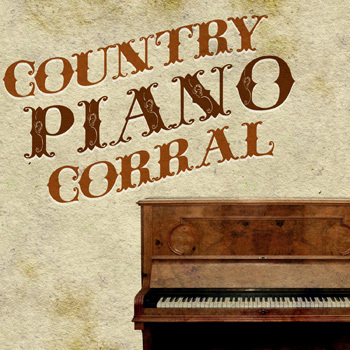 He commissioned a simple shirt design in 2013, which he would release along with a new album. His only request was that I keep the shirt to a simple two to three colors. Since I have a background in screen printing, simple designs are a specialty of mine. He encouraged me to get creative with shirt colors and depictions of him. First, I used Boris Black Bloxx for the text, which a thick, wacky font. I decreased the spacing of it in order to add to the fun. Then, I simplified a screen capture from one of Ronald’s Youtube jam videos to create a one color image. Finally, the product displays his vibrant personality while promoting his jaw dropping musical prowess. This version is the men’s style, which is displayed on an Ice Grey T-shirt with orange and dark grey inks. The design is also available in a grey ladies cut with pink and dark grey ink colors. Order one for yourself here! Then go see him in action on “the YouTubes” here! Are you crowdfunding your next album and in need of a shirt design for one of the perks? 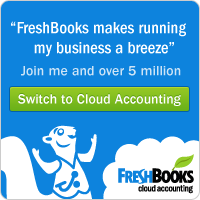 Do you need merchandise to capitalize on your viral videos that are blowing up on Youtube? Contact me today for the perfect shirt design!